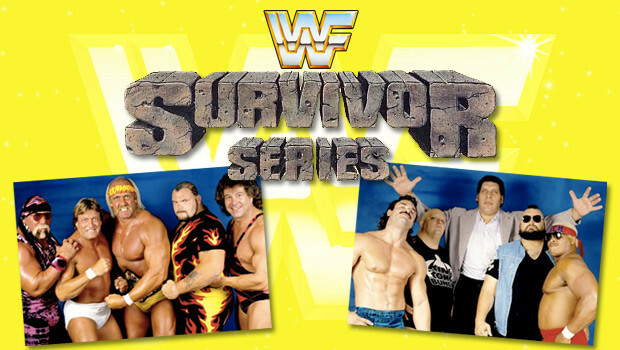 Survivor Series – Scotts Blog of Doom! Despite being one of the classic “Big Four” Pay Per Views, Survivor Series doesn’t really match up to the other three when it comes to quantity of great matches. There have definitely been some excellent bouts at the annual November event over the years, but it’s always been the weakest of the four overall in my opinion. I’d never want WWE to scrap it of course, but it’s also hardly an event I look forward to like I do the Royal Rumble, WrestleMania and Summer Slam. I think it’s telling that, with one exception, all of the matches I picked here were singles bouts as opposed to the elimination survival bouts that gave this event its name in the first place. 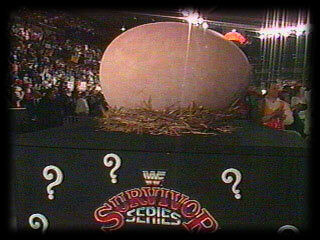 Again, it’s not like there haven’t been good survival matches either, but I do think a lot of the reason why this event survived through the years is because they downplayed the concept of the survival match and kind of just made them normal events with a token elimination bout here or there. A mere two days after Clash XIII, this show occurred LIVE on PPV. Oh. My. God. What in God’s creation is in that EGG? Read on! For those of you who have read my old reviews of this show, you might remember that the main event has sent me into various rantings and ravings over the years. It might have ticked me off more than any match ever at one point, though it’s since been topped multiple times. I’m kind of curious to see how I react to it this time around so let’s get to it. You’re all familiar with the Big Four WWE pay per views. Well now you can be even more familiar with them by picking up my collections of reviews, which are now available in PAPERBACK. After years of only having these as e-books I’ve gone through all of them, polished them up, and turned them into actual, physical books.